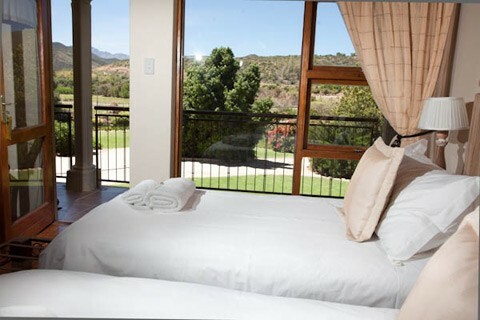 Die Fonteine is a luxury guest house, situated in the heart of the Cango Valley near Oudtshoorn. 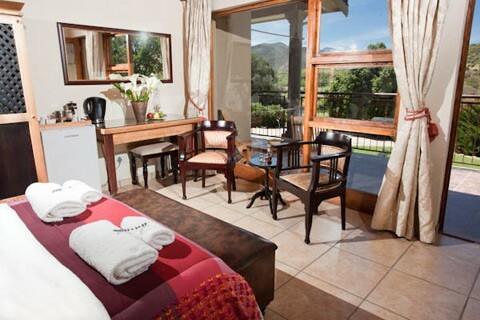 We offer stylishly decorated en-suite rooms with beautiful views of the Schoemanshoek Valley and the spectacular Swartberg Mountain Range. The rooms are non-smoking and we provide linen, towels, basic toiletries, tea & coffee facilities, homemade rusks and sherry. 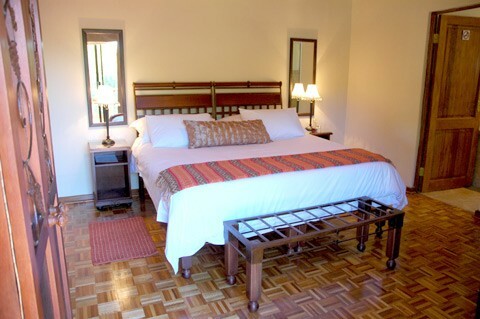 Each room has its own private entrance, ensuring the privacy you deserve. 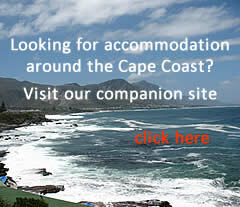 We are ideally located for travelers exploring the Schoemanshoek Valley, Oudtshoorn & the surrounding area. 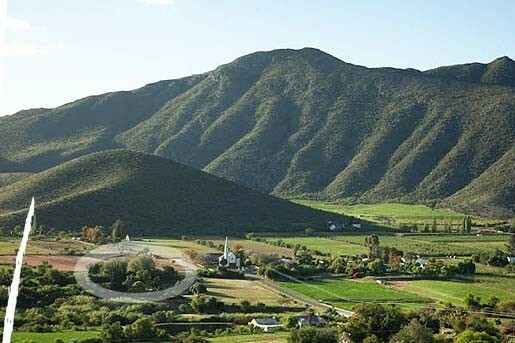 We are within walking distance from the Cango Ostrich Show Farm and Karusa Winery. The Cango Caves, Wilgewandel Holiday Farm, Cango Wildlife Ranch and Rus & Vrede Waterfall are within a radius of 15 km from Die Fonteine. Queen size bed, private entrance, en suite bathroom (bath and separate shower), private patio (overlooking the Swartberg Mountain and Schoemanshoek Church), fridge, complimentary sherry, tea & coffee facilities, safe and air conditioner. 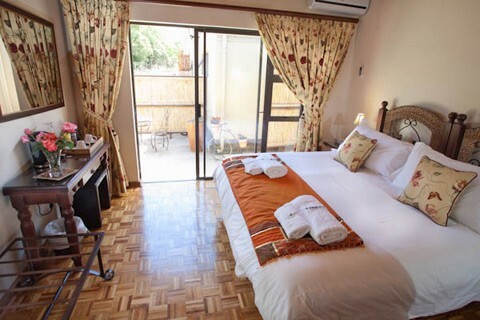 King size bed or twin beds, private entrance, en suite bathroom (shower only), fridge, complimentary sherry, tea & coffee facilities, safe and air conditioner. 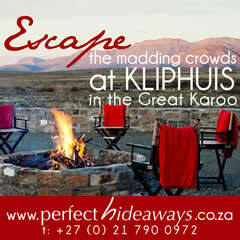 View the beautiful garden, Swartberg Mountain Range and Schoemanshoek Valley. Double bed, private entrance, en suite bathroom (bath and separate shower), patio (overlooking Swartberg Mountain Range and Schoemanshoek Valley), fridge, complimentary sherry, tea & coffee facilities, safe and air conditioner. 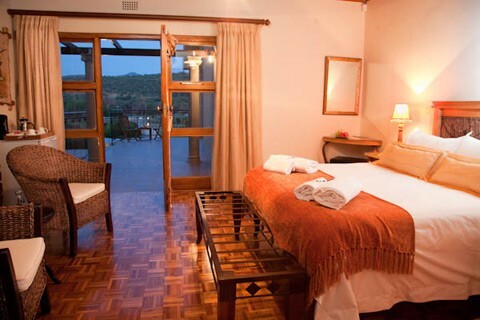 King size bed or twin beds, private entrance, en suite bathroom (bath, separate shower and double basins), private patio (overlooking Schoemanshoek Valley and the beautiful garden), fridge, complimentary sherry, tea & coffee facilities, safe and air conditioner. King size bed or twin beds, private entrance, en suite bathroom (bath, separate shower and double basins), private patio, fridge, complimentary sherry, tea & coffee facilities, safe and air conditioner. 350 m further on Die Fonteine is on your left.